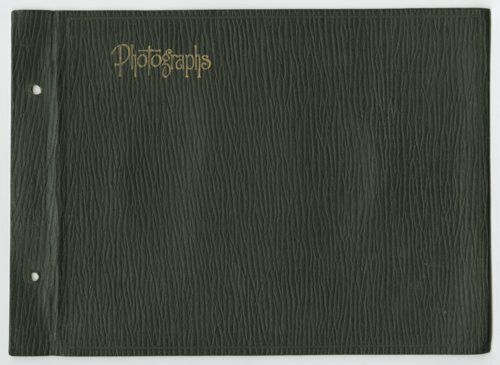 A photograph album containing photographs and newspaper clippings about the June Frisby Academy of Music located in Wichita, Kansas. Also included in the collection is her obituary and a wedding invitation. The musicians are often in costumes--Hawaiian, Colonial, etc. Some of the photos include a person in "black face", a form of comedic theater based on stereotyped caricatures of African Americans. Black face comedy was a prominent form of American popular culture from the mid-19th century until the civil rights movement in the 1960s.